Cammel Laird Shipyard, Birkenhead, Cheshire, U.K.
On June 2, 1948 ex-HMS Venerable joined the fleet as the second HNLMS Karel Doorman (R 81). In her first years of employment she carried a capable air wing, suitable for close air support and arial attack, consisting of up to 24 Fireflies and Sea Furies. For rescue duties a yellow Sea Otter was included, later replaced by a S-51 helicopter, called Jezebel. 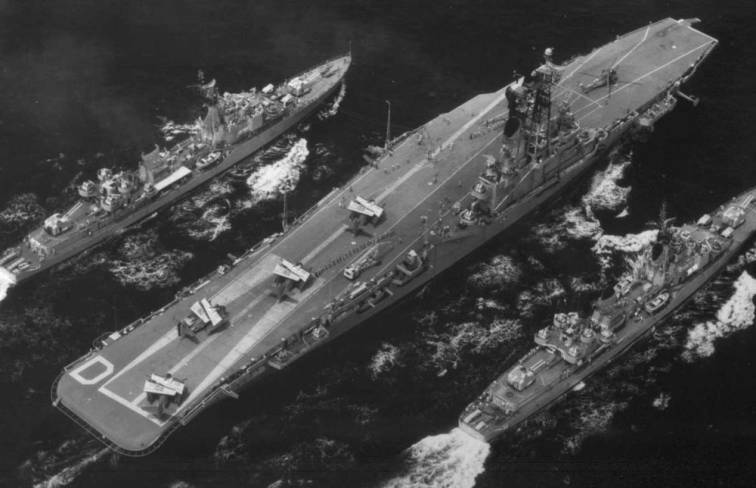 From 1955 until 1958 HNLMS Karel Doorman was extensively refitted, in which many new developments in naval aviation were added. The typically British island was replaced by a Dutch designed superstructure, with much similarities to the cruisers of the De Ruyter class. Most notably the enormous LW-01 long range radar antenna on top of an even more enormous lattice mast and a tall funnel, which carried the large LW-02 radar antenna, only slightly smaller than the first one. Typically of larger Netherlands warships was the VI nodding height finder, of which two were placed on either end of the superstructure. The close range anti aircraft guns were replaced by 10 Bofors 40mm, 40L70. The following 2 years HNLMS Karel Doorman operated up to 14 Avengers, 10 Sea Hawks and 2 S-55 helicopters and acted as flagship of Smaldeel V (Task Force 5). 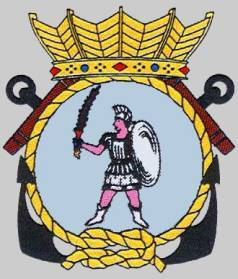 The main employment area was the northern North Sea (except for a party trip to Florida), together with destroyers of the Friesland and Holland class, and sometimes a submarine of the Walrus class. 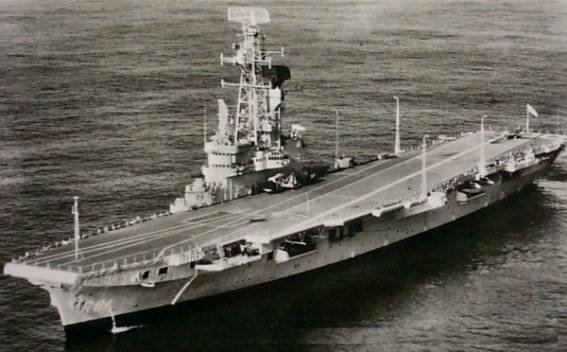 In 1961 HNLMS Karel Doorman was equipped with the latest avionics and again her air wing was changed. Tasked by NATO, the Royal Netherlands Navy was to perform anti submarine patrol in the northern Atlantic. HNLMS Karel Doorman became the base for 8 Grumman Trackers S2F and 6 helicopters S-58. 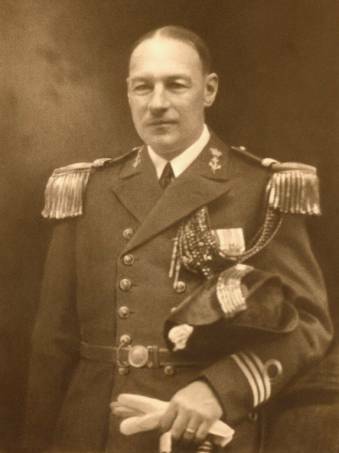 Again as flagship of Smaldeel V operating from Invergordon, Scotland, HNLMS Karel Doorman frequently was accompanied by the destroyers HNLMS Limburg, Groningen, Drenthe and Holland and the submarines of the Dolfijn class. Later escorts were the broad beam Leanders of the Van Speijk class. On April 29-30, 1968 Karel Doorman was struck by an accidental fire in the boiler-room. The Netherlands Navy considered repair beyond her (financial) capabilities and decided to sell her old lady to Argentina. Repaired and overhauled by Wilton Fijenoord Shipyard, she began a new life. 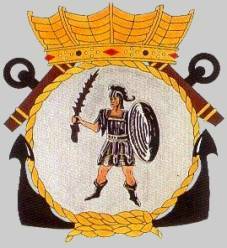 Argentina already operated a carrier, the ARA Independencia, also a former Royal Navy ship. 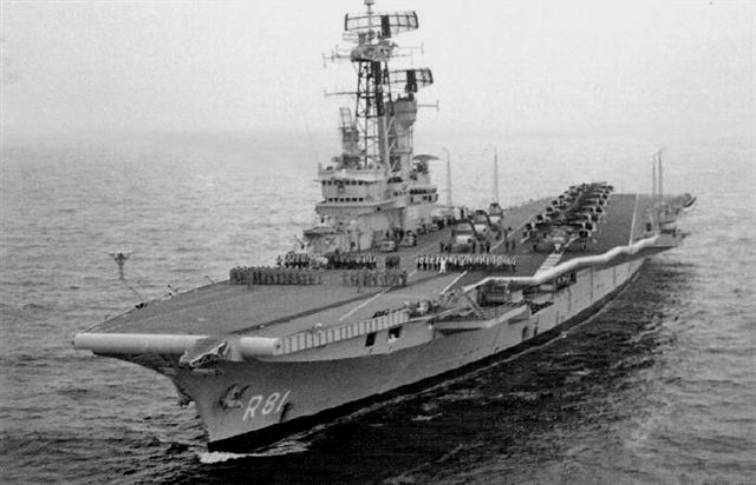 After Independencia was decommissioned in 1970, the Veinticinco de Mayo was the sole remaining carrier in the Argentine fleet and could carry up to 24 aircraft. She was decommissioned in 1997 and finally in 2000, she was towed to Alang, India for scrapping.